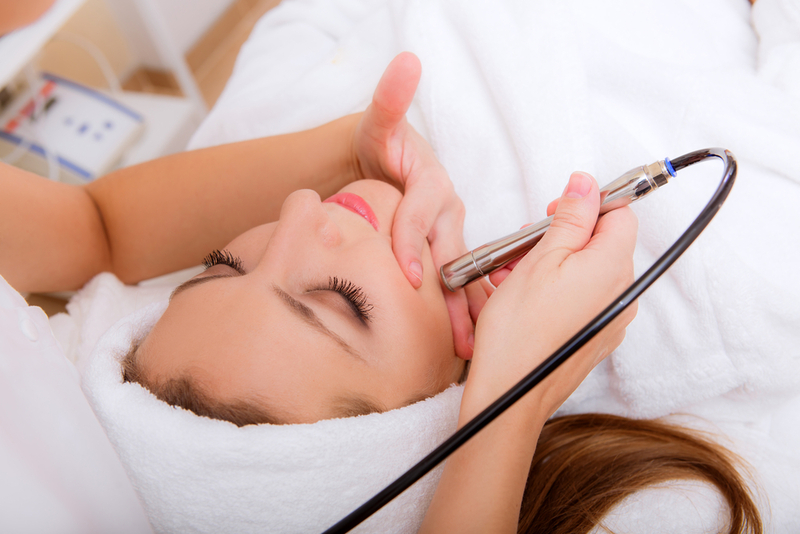 It’s microdermabrasion plus oxygen therapy for instantly radiant skin, and we’re calling it the O2/micro facial. We’ve found a way to make a good thing even better by combining a traditional microdermabrasion treatment, to buff and prime, with our revolutionary oxygenating masque and stem cell infusion system by Image Skincare, which will leave skin exfoliated, oxygenated and illuminated. The impact of each facial service is dramatically increased by having them performed back to back, and you’ll love your results. Let us break it down for you and really delve deep into the benefits of combining some of our most effective skin treatments into one game-changing treatment. Microdermabrasion is a process where a specialized machine performs a mechanical exfoliation of the face that sloughs off dead skin cells often missed by home exfoliation remedies. The mechanical process goes one step further by stimulating collagen production which rejuvenates the skin from the outside in and inside out. However, we’re not done yet. What we have discovered, is that if you perform the microdermabrasion treatment before the O2 facial, you’re left with a perfectly pressure washed canvas of fresh skin, ready to quickly absorb all the benefits of our oxygen facial. This facial alone is a "breath of fresh skin" - we utilize the exfoliation properties of papaya and pineapple enzymes, and then follow up with a cutting-edge, effervescent masque that oxygenates down to the cellular level. Then we apply a pure, plant stem cell enhancer to rejuvenate and prevent signs of aging. The final touch is a tinted moisturizer with SPF, which illuminates and provides the utmost environmental protection. So, you can only imagine, with these powers combined, how our two treatments together can be a match made in esthetic heaven. When you receive the microdermabrasion with Image O2 facial, the microdermabrasion replaces the papaya and pineapple exfoliation process of the solo O2 facial - providing a more effective exfoliation in order to ensure you get the best results from the revolutionary oxygenating masque and stem cell infusion system by Image Skincare, leaving skin exfoliated, oxygenated and illuminated. So, book your appointment today with Alpha School of Massage and experience the difference a really great facial can make. Our combination O2/micro facial treatment special pricing starts at just $70!